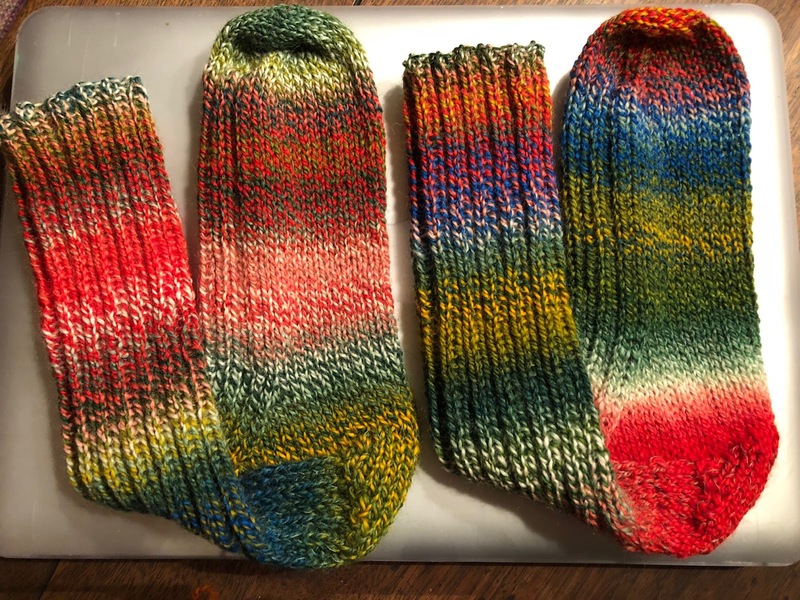 I've written about heavier socks knit with a larger gauge yarn and needles before, and cannot stress enough, all sock patterns are not alike and many take less time than others. With these top-down socks, I didn't even use a pattern, but a self-help page for heels and another for the Kitchener Stitch to close off the toe. 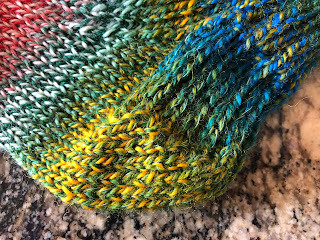 Using US 5 (3.75mm) dpn needles and Schoppel's Zauberball Starke 6, which is a self-striping DK yarn, I cast on 48 stitches and k2, p2 each round for 7.5 inches for a woman's sock. Then I used "heels by number" to design the heel as I do on every pair of socks I knit, no matter the gauge and needle size. 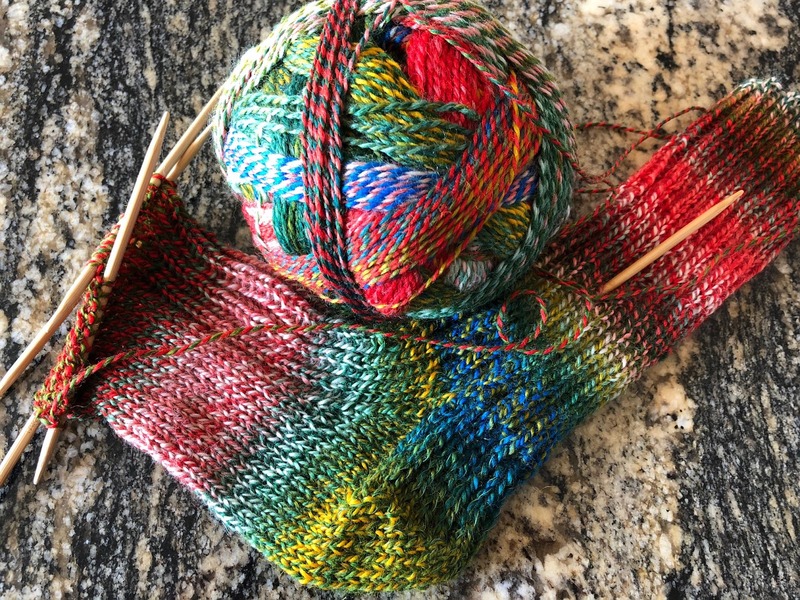 This is a great page for sock knitting reference. I also added some polyester thread to the heel and toe sections to prevent unusual wearing and having to darn holes. 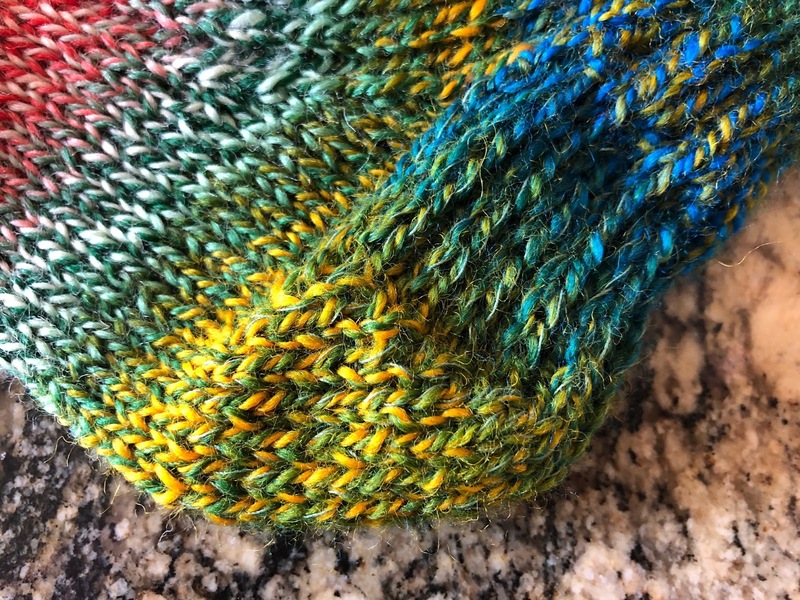 Although Starke 6 is 75% wool and 25% nylon, the addition of the polyester thread is just an added protection against holey socks. 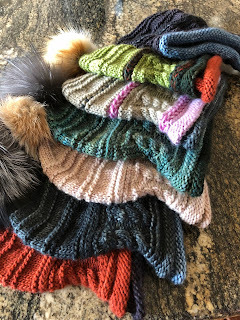 All sock patterns are not alike and neither are all sock yarns, even the exact same company brand offered by different sellers. For example, the same brand yarn ball can be priced at unusually disparate prices by greedy sellers. Check out these offerings of Zauberball Starke 6 yarn by Schoppel screen shot from Amazon.